Hotel PURPUR with great location in the very centre of Old Prague town only a few minute walks from the famous Wenceslas Square and all major sightseeing attractions. 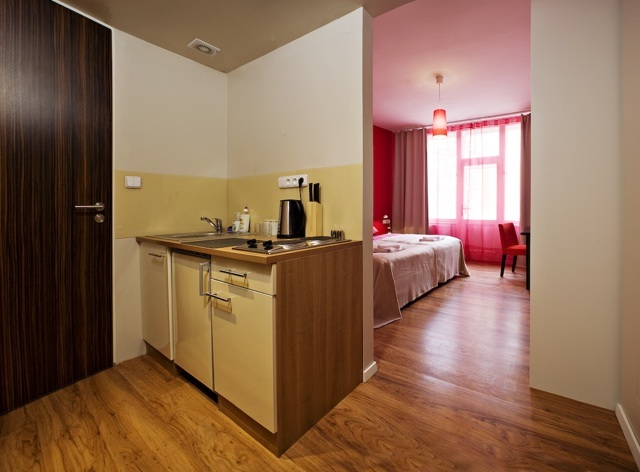 Opened in 2009, it offers 36 modern and stylish superior city tourist class studio apartments in Prague, surrounded by many clubs, pubs, restaurants and shops. All rooms are equipped with shower, WC, hairdryer and make-up mirror. All bathrooms are a modern combination of elegant tiles and glass element making the use of the shower a truly exciting and refreshing moment. The rooms do have flat screen TV with satellite channels, some of rooms have fully equipped kitchenettes, minibar as wooden floors and wireless Internet access free of charge in the lobby. All rooms on the top floor of the building as to the back of the building are equipped with their own private balcony (this category will be provide belonging the availability of these rooms). The reception of the Hotel is available 24h/7. Breakfast is served between 7 and 10 am. Public computers are available next to the reception as luggage storage is possible. Six parking spots are available in the hotel garage (cost €15,-/day) and are available and bookable upon request. Cyclists are welcome as the garage provides parking spaces for bicycles. The highly multilingual and professional staff will help to discover the wonders of Prague at any time. 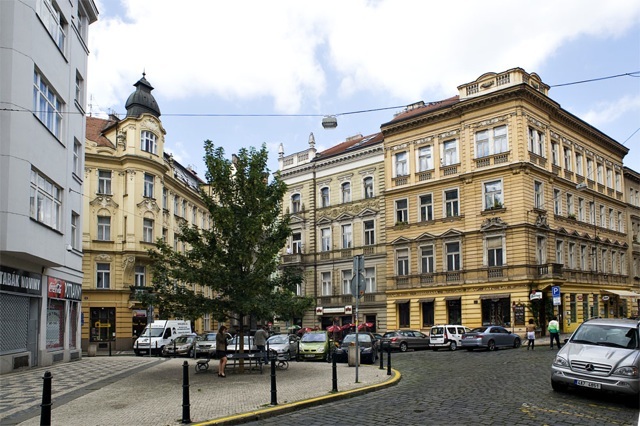 Due to the central location of Hotel PURPUR and thanks to the efficient public transportation (nearest station Karlovo Namesti 0,5 km) the city of Prague is very convenient and quickly to reach. 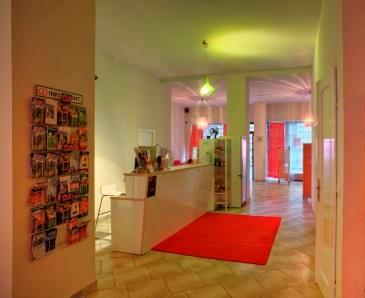 We kindly ask you to pay a deposit 1.000CZK / 40€ for a key and minibar.